In our previous articles we covered general concepts related to graphics programming together with basic drawing methods, focusing on those that should be familiar to Delphi programmers. In this article we will investigate double buffering and learn about off-screen bitmaps. Double buffering simply means that you operate with two screens (or views), one visible and the other hidden. The concept stems from the 80’s and 90’s where programmers had to write pixel data directly to the video hardware, something which had the unfortunate side effect of flickering. In order to even display a picture on the Amiga or Atari machines, you had to tell the hardware the adress of the image data (or ask the BIOS for a fixed segment index). In order to get rid of flickering graphics we had to allocate two screens, display the first, draw to the second – then quickly switch the video buffers (think swapping two cards very quickly, altering only the hidden card). But, before we dive into the how to best update moving graphics under HTML5, let’s have a look at something more immediate. Namely how to display graphics in the first place. What exactly is an off-screen bitmap? Well, in short it’s a surface you can draw to, but it’s held in the computers memory and is thus invisible. You can use off-screen bitmaps to load pictures in the background, pre-render game or demo content, hold animation frames – the uses are endless. 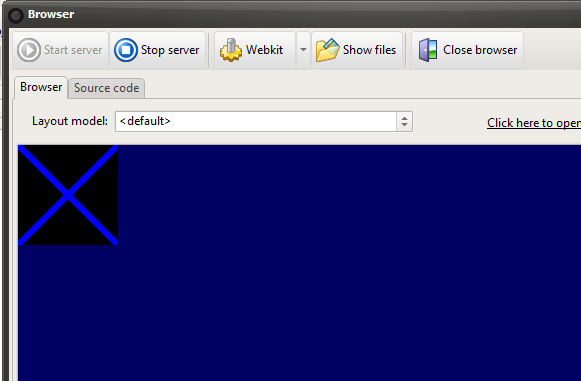 The above code creates an off-screen bitmap and sets the size to 100 x 100 pixels. Sadly you don’t have any control over the pixel format like we do under Delphi, but all modern browsers operate with strict 32bit graphics (which is the fastest format) so it would be pointless to support older formats. The canvas constructor takes one parameter which has to be a valid graphics context. One thing I want to mention: although it may be slightly confusing if you are just starting out, is that a graphics context does not have to be invisible. 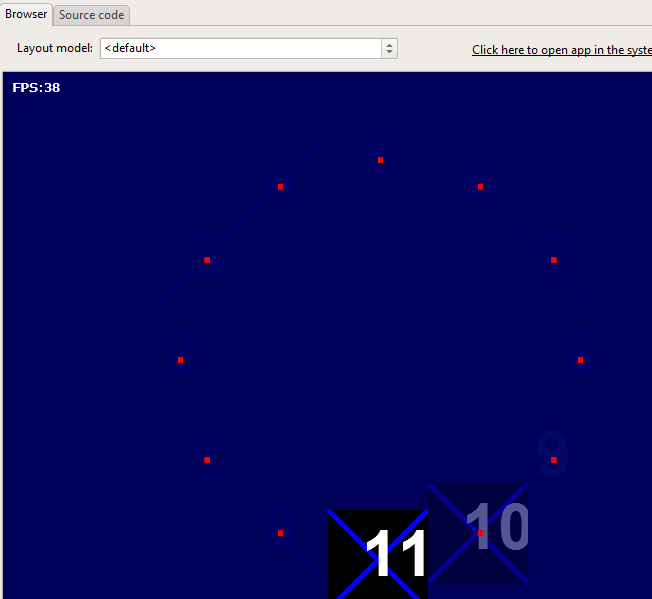 Anything that has a context under HTML5 can be used as a canvas target. So a graphics context is not synonymous with a hidden, off-screen bitmap – but can also be a visible DOM element. HTML5 even allows you to hook into a controls background and alter it “live” (see TW3BackgroundGraphicContext in w3graphics.pas). But that is a topic for another article i think. Now that we know how to create an off-screen bitmap and a canvas, let’s use this knowledge to full effect. Drawing to an offscreen bitmap and pasting it on the display is not really that amazing, so we need to make things move around and give it a spot of life. Again the rule of thumb is to pre-calculate and pre-render as much as possible. This call generates a circle with a radius of 200 pixels from the center of the display, divided into 12 sections (or points on that path). In other words: a clock face. When we execute the project the result is a bitmap that moves according to our path, displaying the index number as it moves along. So far we have been exploring some very basic programming techniques. It’s time to take it to the next level and make our graphics more browser friendly. The requestAnimationFrame procedure is very simple. It takes one parameter which is a procedure reference, and the browser will then call that procedure in time for the next screen update. So what we do is move all our drawing code out of the paintView method into a secondary procedure, and then use the requestAnimationFrame call to make our graphics update in sync with the browser. In this article we have covered quite a bit of losely related topics. I have tried to include avenues of code that can be easily expanded upon later – and also to provide what you need to get going straight away. Naturally the code presented here can be greatly optimized. I have keept the code as easy on the eyes as brewity allows. In the next installment of this article we will take on pictures, how to load them, copy them around – and opacity/alpha blending.